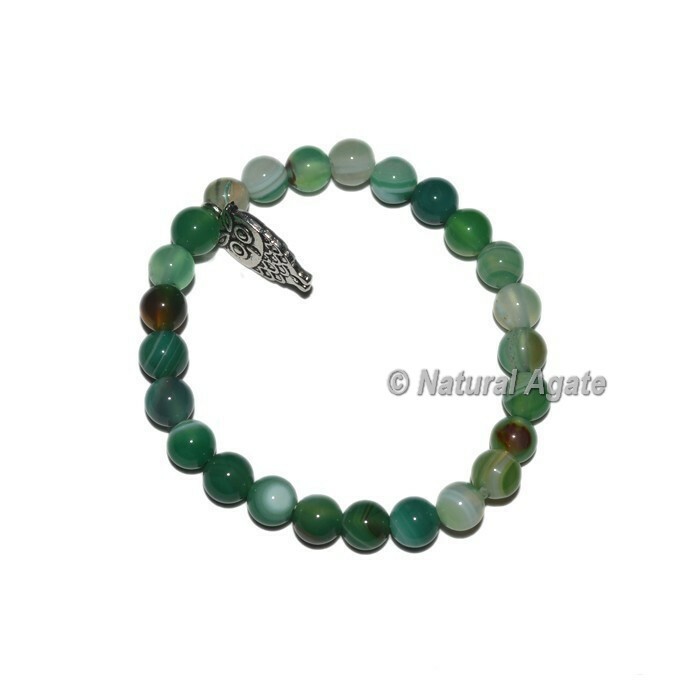 This wristband is made of faceted green agate stones and grouped with owl enchant. It is hung on flexible rope which makes this arm jewelery simple to wear. For change in plan of armlet or stones get in touch with us specifically.